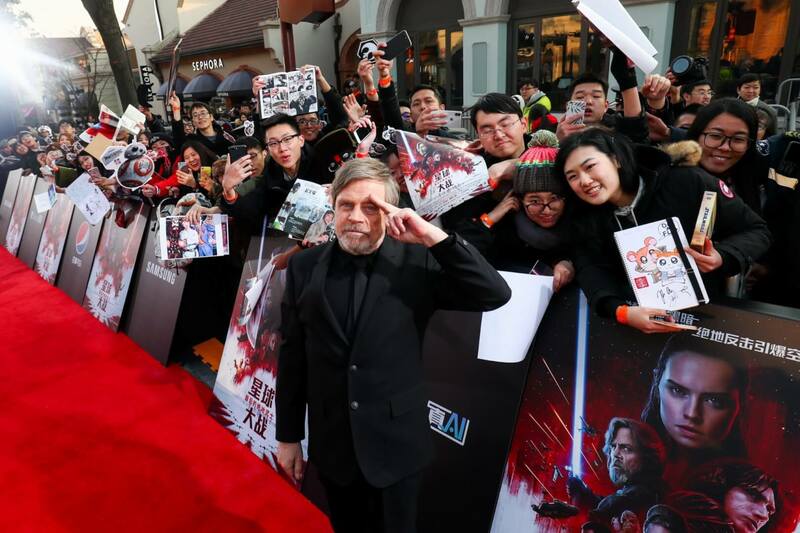 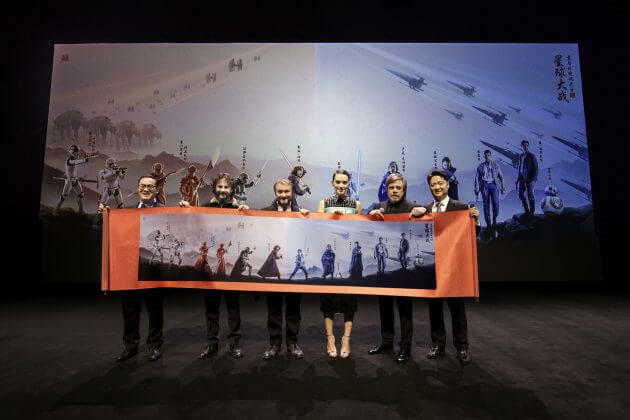 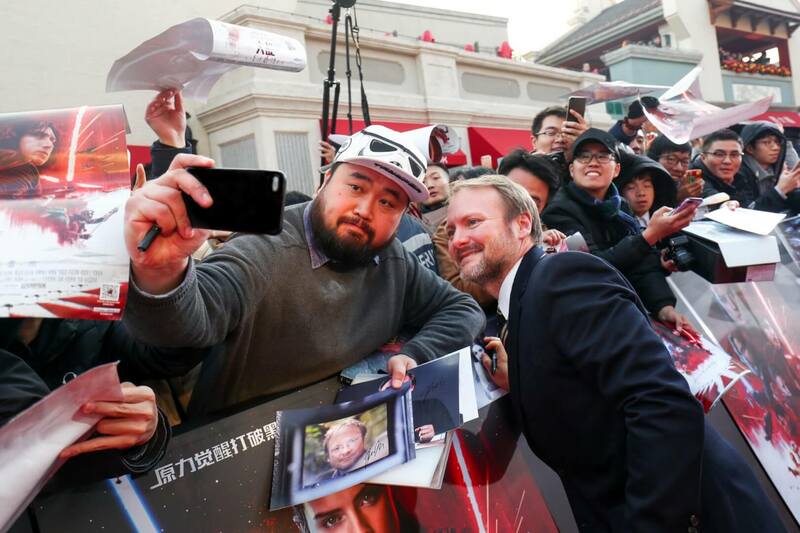 Two weeks ahead of the film’s release in China, the cast and crew of “Star Wars: The Last Jedi” gathered at Shanghai Disney Resort for the premiere. 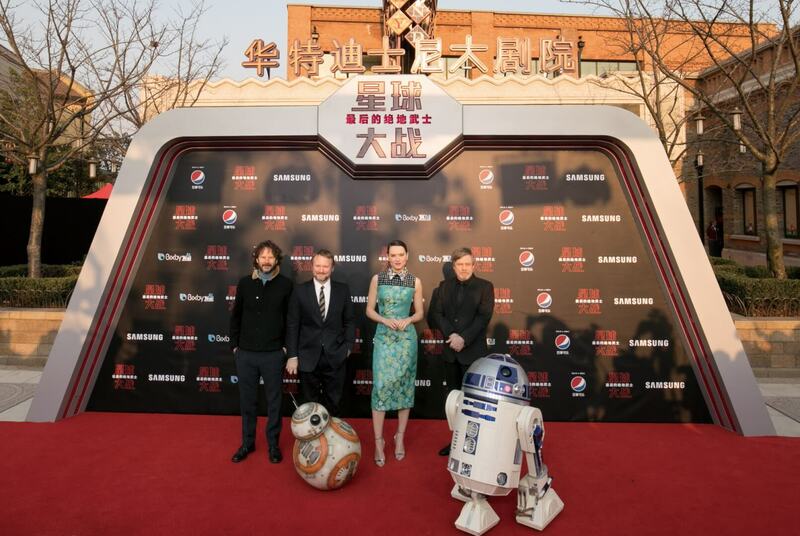 Stars Mark Hamill and Daisy Ridley, director Rian Johnson, and producer Ram Bergman walked the red carpet along with BB-8 and R2-D2. 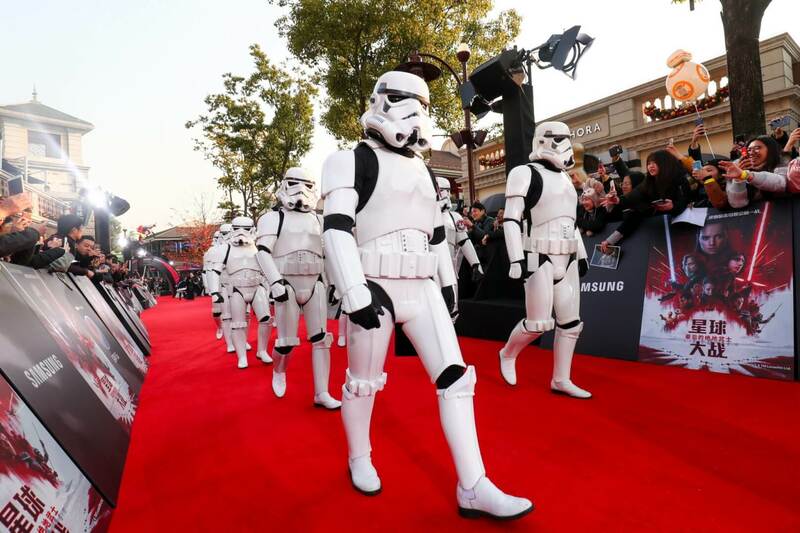 A few Stormtroopers showed up to the party, too. 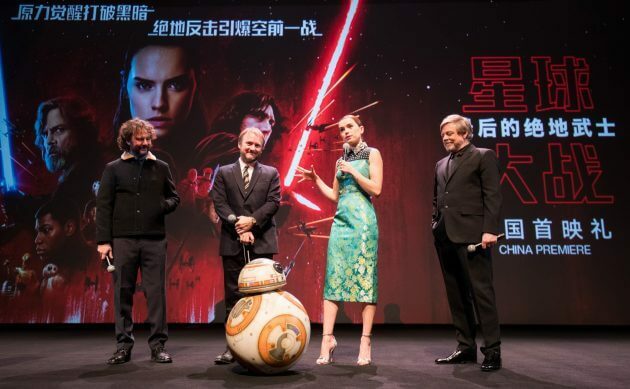 “Star Wars: The Last Jedi” opens in China on January 5, 2018, and is playing now in the United States.